Facebook is launching M to the masses. Facebook claimed that M is your helpful assistant in Messenger which is powered by Artificial intelligence. M right now pop up and suggests “Helpful actions” in the chat window itself. In August 2015, Facebook introduced a digital assistant for Messenger that was known as M. Now Facebook is launching M to the masses. 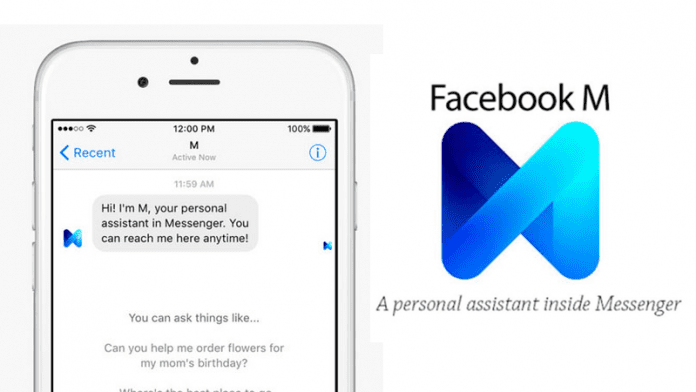 Facebook claimed that M is your helpful assistant in Messenger which is powered by Artificial intelligence. As we already mentioned M is powered by Artificial intelligence and was supposed to be trained and managed by real people. Well, recently Facebook had rolled out this digital assistant to all messenger users in the United States. Facebook claimed that M right now pop up and suggests “Helpful actions” in the chat window itself. For example, if anyone is planning for a dinner, M will suggest that they create a shared plan which will remind them of the meeting as it approaches. If you want to read more about Messenger’s digital assistant M then visit this link. So, what do you think about this? Share your views in the comment box below.